Bharath Institute of Science and Technology was established by Sri Lakshmi Ammal Educational Trust in the year 1984 by Dr. S. Jagathrakshakan who is an academic visionary. The institute is recognized as Deemed to be University in the year 2002 by MHRD. 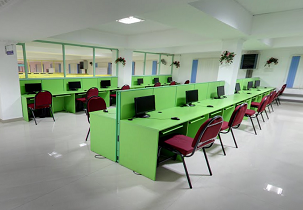 The institute has more than 10000 students from all over the world with 305 acres of Sprawling Land in Tamil Nadu. 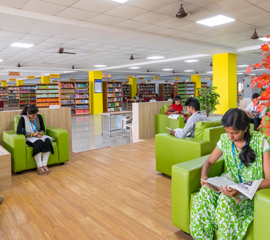 The institute envisages & repetitively endeavors to deliver an excellent research and academic atmosphere for the faculties and students to receive professional proficiency along with human poise & revolution of community to retain stride with the universal challenges so as to accomplish holistic improvement. The mission of the institute is to progress as a prime Institute for research, innovation and learning on equivalence with leading international universities and also conveys training & education to the students for producing an improved society with morals and ethics. It creates benchmark principles in professional practice in the arenas of emerging and innovative areas in engineering and imbibes human values & dignities over personality improvement & social service deeds. The institute nurtures an interdisciplinary methodology in innovation, education and research by subsidiary lifelong professional improvement, inspiring knowledge banks over scientific investigation, stimulating best innovations and practices, industry determined and institute adapted to cooperation, globalization and international creativities. Special Scholarship for Navy, Army, Economic Backward, Physically Challenged etc. is there admission for b.tech in ece branch.? When will opening Bsc Agriculture college.Please,send a message 7598539695? admission fees,hostel fees for BTech course? hostel fees and placements companies? 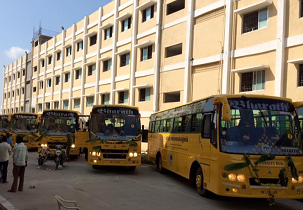 Are you Interested inBharath University"? Please provide the following details.